Abstract: Olive knot disease caused by Pseudomonas savastanoi pv. savastanoi (PSS) is considered as the main bacterial disease of olive tree in Morocco. However, sole prophylactic measures are available. The main aim of this work was to evaluate the effects of eighteen antagonistic bacteria, as an alternative approach, to control in vitro and in planta the pathogens strains previously isolated from olive trees in Morocco. In vitro experiments revealed that many bacterial strains such as Rahnella aquatilis, Enterobacter ludwiqii, Paenibacillus brasiliensis, and Bacillus subtilis selected from collection of Regional Center of Agronomic Research, were efficient on solid media against pathogen strains. Their inhibition zones ranged from 8 to 23 mm with a higher inhibition rates found by B. subtilis strains. Enzymatic activities of antagonistic strains were assessed (cellulase, protease and amylase) as well as some plant growth promotion traits (phosphorus solubilisation and indole acetic acid production) for performance screening. B. subtilis 2515-1 was selected for pots experiment using olive trees (cv. Arbequina). This bacterium significantly reduced number and weight of knots against two pathogens strains (PSS 2064-8 and PSS 2102-4). The most reduction rates of weight and knot number were respectively 95.60% and 50%. This study suggested an alternative approach to assess the efficiency of selected bacterium in field conditions. Olive knot disease caused by Pseudomonas savastanoi pv. savastanoi (PSS) is considered as the main bacterial disease of olive tree in Morocco. However, sole prophylactic measures are available. The main aim of this work was to evaluate the effects of eighteen antagonistic bacteria, as an alternative approach, to control in vitro and in planta the pathogens strains previously isolated from olive trees in Morocco. In vitro experiments revealed that many bacterial strains such as Rahnella aquatilis, Enterobacter ludwiqii, Paenibacillus brasiliensis, and Bacillus subtilis selected from collection of Regional Center of Agronomic Research, were efficient on solid media against pathogen strains. Their inhibition zones ranged from 8 to 23 mm with a higher inhibition rates found by B. subtilis strains. Enzymatic activities of antagonistic strains were assessed (cellulase, protease and amylase) as well as some plant growth promotion traits (phosphorus solubilisation and indole acetic acid production) for performance screening. B. subtilis 2515-1 was selected for pots experiment using olive trees (cv. Arbequina). This bacterium significantly reduced number and weight of knots against two pathogens strains (PSS 2064-8 and PSS 2102-4). The most reduction rates of weight and knot number were respectively 95.60% and 50%. This study suggested an alternative approach to assess the efficiency of selected bacterium in field conditions. Olive knot, caused by the bacterium Pseudomonas savastanoi pv. 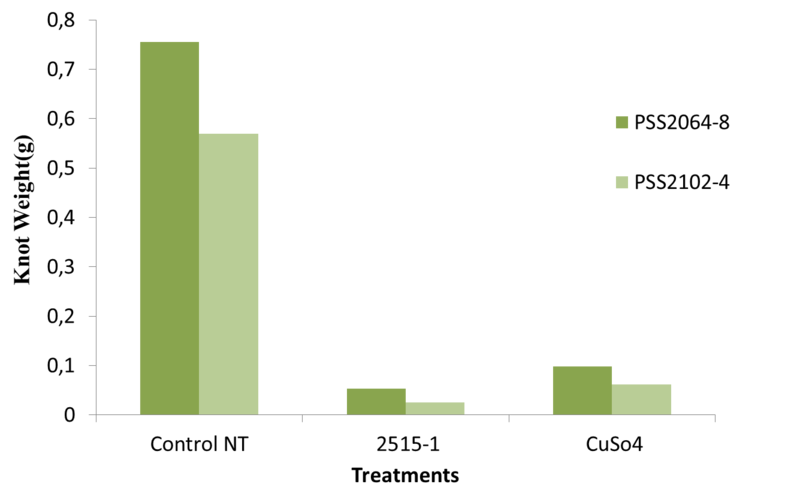 savastanoi (PSS) is a common and a limiting disease in many olive-producing areas (Young, 2004). The disease is manifested by the production of tumorous woody outgrowths, 2-10 cm in diameter, that are mostly formed on young stems as well as on branches and twigs. The leaves and fruits are rarely infected, but they usually harbour the bacteria on the surface as residents (Sisto et al., 2004). Olive knot disease is considered an important problem for olive crops because of its effect on vegetative growth (decline of branch and shoots, death of small branches and twigs), olive yield, and even possibly on olive oil quality through inferior organoleptic characteristics such as an unpleasant smell and a bitter, rancid taste (Godena et al., 2012). The better characterized virulence factors in tumor-inducing isolates of P. savastanoi pv. savastanoi are the phytohormones indole acetic acid (IAA) and cytokinins (Surico et al., 1985). Many saprophytic bacteria such as Pseudomonas spp., Pantoea agglomerans, Bacillus subtilis, were used in agriculture as biocontrol agents to control several diseases caused by bacteria and fungi (Mercier and Lindow, 2001; Van den Broek et al., 2003). P. agglomerans which is often associated with olive and oleander knots (Fernandes and Marcelo, 2000; bouaichi et al., 2015) is also used as a biocontrol agent toward different plant diseases (Trotel- Aziz et al., 2008; Sadik et al., 2016). However, it may contribute in knot formation by IAA production (Marchi et al., 2006). In this study, we aimed to: 1) assess in vitro efficiency of 18 antagonistic bacteria as biocontrol agents against two Pseudomonas savastanoi pv. savastanois strains, causal agents of olive knot in Morocco; 2) investigate theirs mechanisms on solid media such as protease, cellulase and amylase activities as well as siderophores and IAA production, 3) conduct in planta experiment under greenhouse, then confirm this antagonistic activity of selected bacterium (Bacillus subtilis (2515-1) as effective biocontrol agent against PSS 2102-4 and PSS 2064-8 virulent strains of Pseudomonas savastavoi pv. savastanoi (PSS). Two strains of Pseudomonas savastanoi pv. savastanoi (PSS 2102-4 and PSS 2064-8) were used in this study, isolated from knot of symptomatic trees in Meknes and Taounat (Morocco) and sub-cultured on King B medium (20 g proteose peptone; 1.5 g MgSO4; 1.5 g K2HPO4; 10 ml glycerol; 20 g agar; distilled water to 1.0 liter) (King et al., 1954). Bacteria were inoculated on media using inundation method from preserved strains. After incubation for 48 h, suspensions were prepared aseptically in sterile distilled water and their concentrations were adjusted (108 CFU/ml) by spectrophotometer (UV-mini 1240, Shimadzu) at 600 nm (El-kinany et al., 2017). All antagonistic strains belong to the collection of laboratory of plant bacteriology and Biological Control at the National Institute of Agronomic Research (Meknes, Morocco). Theirs origins, isolation dates, and references are described in Tab 1. Table 1 Antagonistic strains examined for biocontrol efficiency against olive knot. Codes of strains Sampling locations Origin Species Gene Bank accession No. In vitro antagonism to evaluate the effects of the 18 antagonistic strains against PSS 2102-4 was carried out using disk agar diffusion method (Habbadi et al., 2017). Briefly, the bacterial suspension of PSS 2102-4 strain with a cell density of 108 CFU/ml was prepared and spread on YPGA medium (5 g yeast extract; 5 g bacto peptone; 10 g glucose; 20 g agar; distilled water to 1 liter). Excess of suspension was eliminated and the Petri dishes were dried aseptically for 15 min. 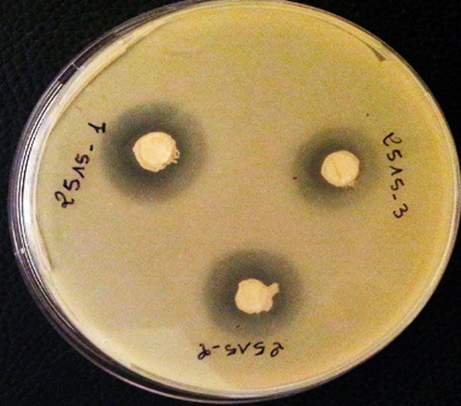 disks of paper containing fresh antagonistic strains were placed on Petri dishes and incubated at 25°C for 24 h. Streptomycin was involved as a positive control to compare its effect with bio-agents. The Antagonistic activity was indicated by a clear zone of inhibition around the antagonistic strains. All halo diameters were expressed in millimeters to compare the performance of these antagonists. The phosphorus-solubilizing activity of the antagonistic strains was assessed on Pikovskaya (PVK) medium (Pikovskaya, 1948) which contains 10 g glucose; 5 g Ca3 (PO4)2; 0.5 g (NH4)2SO4; 0.2 g NaCl; 0.1 g MgSO47H2O; 0.2 g KCl; 0.5 g yeast extract; 0.002 g MnSO4H2O; and 0.002 g FeSO47H2O, 15 g agar; distilled water to 1 liter). Inoculated plates, by spot method (Boudyach et al., 2001) were incubated at 27°C for 7 days and observed for halo formation. The development of a clear zone around the spot indicates the effectiveness of bacterial antagonist. The solubilization index (SI) of such antagonists was calculated using the formula of Premono et al., (1996): SI = (colony diameter + Halo zone diameter))/colony diameter. Universal method for siderophores production using CAS medium was carried out (Schwyn and Neilands, 1987), although only as a means to reveal changes, without the presence of nutrients. The medium for one Liter of overlay was as follows: Chrome azurol S (CAS) 60.5 mg, hexadecyltrimetyl ammonium bromide (HDTMA) 72.9 mg, Piperazine-1, 4-bis (2-ethanesulfonic acid) (PIPES) 30.24 g, and 1 mM FeCl3·6H2O in 10 mM HCl 10 mL. Agarose (0.9%, w/v) was used as gelling agent. Overlays of this medium were applied over agar plates containing cultivated strains to be tested for siderophore production. After a maximum period of 15 min, colour changes was observed in the overlaid medium, exclusively surrounding producer strains, from blue to purple (siderophores of the catechol type) or from blue to orange (siderophores of the hydroxamates type). Colony diameter and halo formation were each measured after 1 h (Schwyn and Neilands, 1987). Production of IAA was tested on Czapek medium (Tsavkelova et al., 2007) containing 20g Glucose; 1g K2HPO4; 0.5 g MgSO4; 0.5 g yeast extract; 0.1 NaNO3; 0.5g FeSO4; 20 µl. Freshly grown cultures were inoculated into 10 ml Czapek medium to which tryptophan had been added (1g/L) in each test tube and incubated at 30°C for 72 h. 4ml of culture was removed from each test tube and centrifuged at 10.000 r/min for 15 min. An aliquot of 1 ml of supernatant was added to 2 ml of Salkowski reagent comprising of (1 ml of 0.5 M FeCl3 in 50 ml of 35% HCIO4). The mixture was incubated at room temperature for 25 minutes. The absorbance of the pink solution from each isolate was measured and recorded at 530 nm using spectrophotometer (Tsavkelova et al., 2007). Antagonistic bacteria were cultured on CMC plate (0.001% MgSO4, 0.005% KH2PO4, 0.001% CaCl2, 0.6% NaCl, 0.2% (NH4)2SO4, 0.2% K2HPO4, 0.1% yeast extract, 0.5% CMC and 1.5% agar in 1 Liter of distilled water. After growth at 28ºC for 14 h, cellulase activity of the strains was assayed by checking their ability to form halos detected by Congo red staining (Lin et al., 2009). Extracellular lipase-producing microorganisms were evaluated on differential medium containing; olive oil 20 ml, peptone 3g, yeast extract 2g, K2HPO4 2g, MgSO4 1g, Na2CO3 1g, agar 20g, and rhodamine B 0.01g in 1 Liter of distilled water (Lin et al., 2009). Extracellular protease production was carried out using specific medium containing; 5 g meat peptone; 3 g yeast extract; 10 g skimmed milk powder; and 12 g agar in 1 liter of distilled water. Finally, on the same medium exempt the skimmed milk, where was substituted by cassava starch, extracellular amylase production was detected (Sharma and Singh, 2015). 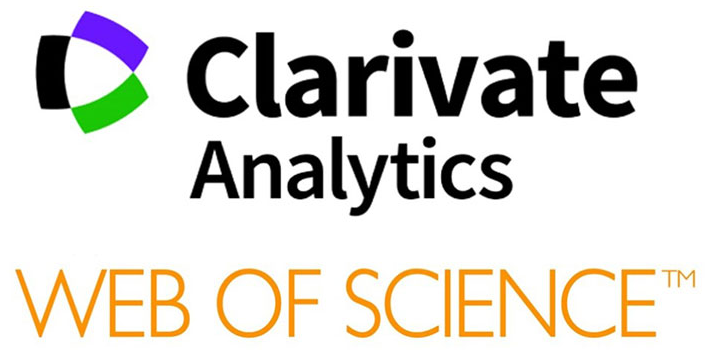 Data were subjected to analysis of variance using SPSS software (version 21; http://www.spss.com). 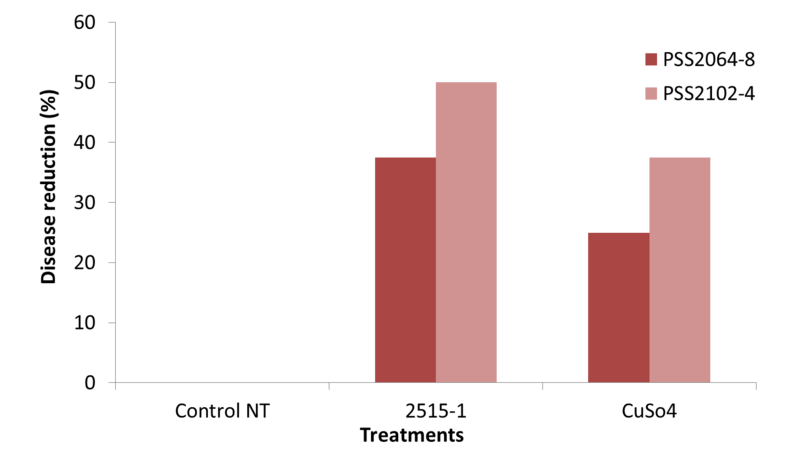 Means of values among the treatments were compared by Dunnett multiple test at the 5% (P = 0.05) level of significance. Eighteen antagonists limited the growth of pathogen strain PSS 2102-4. Results described in Figures (1; 2) showed that B. subtilis strain (2515-1) was the most effective bacterium with a higher inhibition zone of 23 mm which was near to streptomycin effect (positive control) (Figure 2) For the other antagonistic strains, the halo diameters ranged from 8 to 21 mm. B. subtilis strains (2515-2 and 2515-3) did not exert the similar antagonistic effect. Their corresponding diameters were 21 and 20 mm respectively. E. ludwiqii (2546-4) had an inhibition zone of 21 mm against PSS 2102-4 (Figure 2). However, R. aquatilis (2332-A) did not exceed 20 mm against PSS 2102-4 (Figure 2). The other strains have showed an inhibition zones less than 20 mm. Figure 1 Antagonistic activity of Bacillus subtilis (2515-1, 2515-2 and 2515-3) strains against the Pseudomonas savastanoi pv. savastanoi 2102-4. 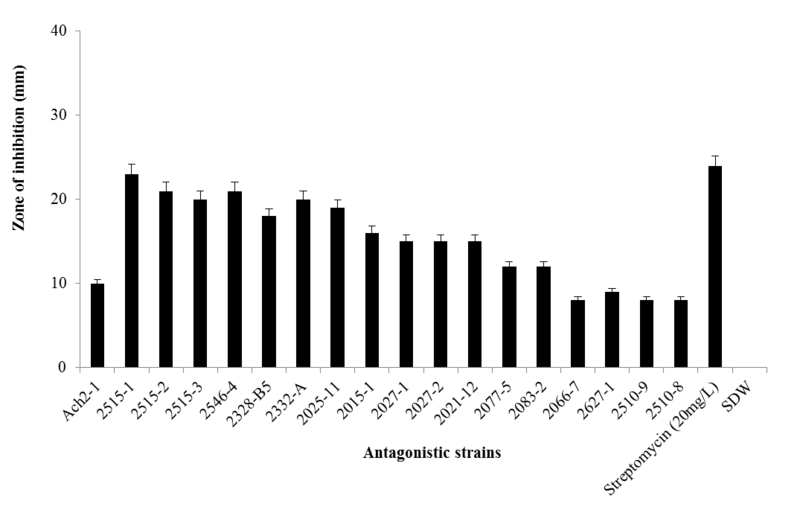 Figure 2 Histogram representing inhibition zone of the antagonistic strains tested in vitro against the Pseudomonas savastanoi pv. savastanoi 2102-4, positive control (streptomycin 20 mg/L) and negative control (SDW). Results presented in Tab 2 and Figure 3 showed that tested antagonistic bacteria produced all extracellular enzymes as well as siderophore and IAA metabolites. B. subtilis 2515-1 was able to release siderophores, soluble phosphorus, IAA, cellulase, protease, and amylase on specific media. Other bacteria, including E. ludwiqii (25464), A. calcoaceticus (2328-B5), P. agglomerans (2066-7) and B. cereus (2015-1) were only effective for production of some metabolites or enzymes. R. aquatilis (2332-A) was the most efficient strain with a higher siderophore index of 2.2 and IAA content (15.06 µg/ml). The highest index of phosphorus solubilization was detected from R. aquatilis 2332-A and B. cereus 2021-2 (2.7). For cellulase activity, B. cereus 2015-1 was the most effective; its relative activity was 3.1. E. ludwiqii 2546-4 showed a highest activity of protease (index of 4.00). Finally, all bacterial strains did not show lipase activity. Table2 Production of Enzymes and secondary metabolites by antagonistic strains. The choice of B. subtilis 2515-1 as biocontrol agent for in planta experiments was based on their ability to suppress the plant pathogens and produce effective enzymes involved in PSS control on solid media. Sixty days after inoculation of trees with PSS 2064-8 and PSS 2102-4, typical knots appeared at the inoculated sites (Figure 4). These pathogen strains developed knots weighting between 0.66 to 0.85 and 0.49 to 0.70g respectively. Inoculations with B. subtilis 2515-1 have decreased the knot weight compared with copper sulphate as chemical treatment (Figure 5). Knot weight was reduced with 92.88 % using B. subtilis strain 2515-1 and only with 86.93% using copper sulphate against PSS 2064-8 (Figure 6). In the other hand, when the antagonistic 2515-1 strain was inoculated with pathogen strain of PSS 2102-4, knot weight reduction was only 50% compared with copper sulphate (37. 5%) (Figure 5).The highest reduction of knot weight was found by B. subtilis 2515-1 (95. 60%) using pathogen strain PSS 2102-4 (Figure 6). Analysis of variance of the average weight of knots (Dunnett test) showed significant differences between antagonistic B. subtilis 2515-1 and infected plants (PSS 2102-4 or PSS 2064-8 without treatment). No significant differences were found between copper treatment and treatment with antagonistic B. subtilis 2515-1; their effectiveness was similar against pathogen strains (PSS 2102-4 or PSS 2064-8). Figure 4 Reduction of weight and knot number after 60 days from inoculation with Bacillus subtilis 2515-1 on plants infected with Pseudomonas savastanoi pv. savastanoi 2102-4; (A) non-inoculated plant and (B) inoculated plant. 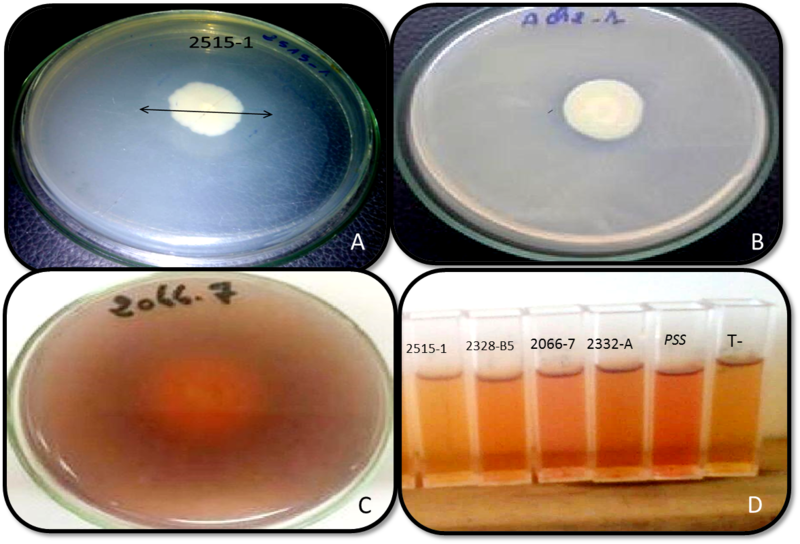 Figure 5 Disease reduction by Bacillus subtilis 2515-1 and copper sulphate (0.5%) after inoculation with Pseudomonas savastanoi pv. savastanoi (PSS 2064-8 or PSS 2102-4). Figure 6 Effect of Bacillus subtilis strain 2515-1 and copper sulphate (0.5%) on knot weight after inoculation with Pseudomonas savastanoi pv. savastanoi (PSS 2064-8 or PSS 2102-4). In vitro experiments showed that B. subtilis 2515-1, 2515-2 and 2515-3 strain, E. ludwiqii 2546-4 and R. aquatilis 2332-A strains were the most effective against PSS 2102-4. However, in planta experiment has shown that B. subtilis 2515-1 was the most efficient strain to reduce knot number and knot weight significantly. The control of PSS is exclusively based on the limitation of the first infection, thus, there is no effective measures exist for a strict control of this pathogen. Nevertheless, in the recent years, promoting results were obtained by using microbial antagonists effective in vitro (Lavermicocca et al., 2002; Rokni Zadeh et al., 2008; Kacem et al., 2009; Krid et al., 2010). Krid et al., (2010, 2012) studied the effect of two B. subtilis strains toward PSS and found that they formed an inhibition zone ranging from 12 to 25 mm of diameter depend the method of co-inoculation. El Hassni et al., (2007) showed that B. pumilus, R. aquatilis B. cereus had exhibited a high inhibition toward mycelial growth of Fusarium oxysporum f.sp albedinis (70–77%), and its sporulation. It was reported that R. aquatilis was also effective to control crown gall in grape vine caused by Agrobacterium vitis strains (Chen et al., 2007; Habbadi et al., 2017). Indeed, siderophores produced by a microorganism can bind iron with high specificity and affinity, making the iron unavailable for pathogens, and thereby limiting their growth. This strategy may certainly be involved in the biological control of plant diseases (De Boer et al., 2003). Therefore, siderophore-producing microorganisms may have promise as biological control agents. This approach of control can potentially help us to limit or reduce the use of chemical products that are harmful to the environment and health. Bacillus spp. were studied as biocontrol agents toward Fusarium wilt of tomato plants and showed its effectiveness in mycelial growth inhibition ( 46%), siderophores (hydroxymate type) production, increasing of yield and crop protection (Ramyabharathi and Raguchander, 2014). R.aquatilis is known for its ability to produce IAA and solubilize complex phosphorus as previously reported (Ahemad and Kibret, 2014). Moreover, B. subtilis produced a variety of extracellular enzymes including proteases, amylases and lipase of great importance in industrial processes, such as pharmaceutical, leather, laundry, food and waste processing industries (Schallmey et al., 2004). B. subtilis strains were also producers of cellulase that is of interest from the biotechnological point of view and in relation to the decomposition of agricultural residues remaining in the field after the crop is harvested (Singh and Hayashi, 1995). Furthermore, Bacillus spp. are well known as rhizosphere residents of many crops and usually show plant growth promoting activities that include biocontrol capacity against some diseases caused by fungi and bacteria, such as leaf spot of mustard caused by Alternaria brassicae (Sharma and Sharma, 2008), stem rot of soybean caused by Sclerotinia sclerotiorum (Zhang and Xue, 2010). 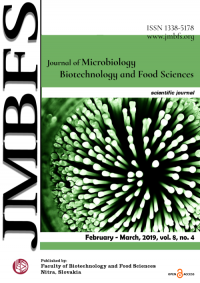 Bacillus subtilis exhibited also a relatively high and specific antibacterial activity to bacterial pathogens such as Agro bacterium tumefaciens, Clavibacter michiganense subsp. michiganense, Pseudomonas syringae pv. syringae, Xanthomonas campestris pv.vesicatory (Krebs et al., 1998; Rhouma et al., 2008). In general the Numerous studies have been done on genus Bacillus are among the most commonly reported as biocontrol and plant-growth promoting rhizobacteria are a group of beneficial bacteria that influence the growth (Huang et al., 2016), yield (Liu et al., 2016) and nutrient uptake of plants (Calvo et al., 2017), and that often exhibit biological control of plant disease (Xiang et al., 2017). Sustainable agriculture need exclusively the availability of alternative strategies of protection, and consequently, the development of environment-friendly and food-hygienically-safe plant-protecting methods based on biological agents has been greatly emphasized (Warrior, 2000). B. subtilis strain 2515-1 appeared to be a promising biocontrol agent against PSS, causal agent of olive knot. Also; this strain could be further exploited both as a biofertilizers and an effective biocontrol agent. Future studies should be focused on the involvement of this strain in field in a nursery naturally contaminated by olive knot disease to assess its effectiveness. Acknowledgements: This work was supported by the funds of National Institute of Agronomic Research Meknes, Morocco. FERNANDES, A., MARCELO, M. 2000. 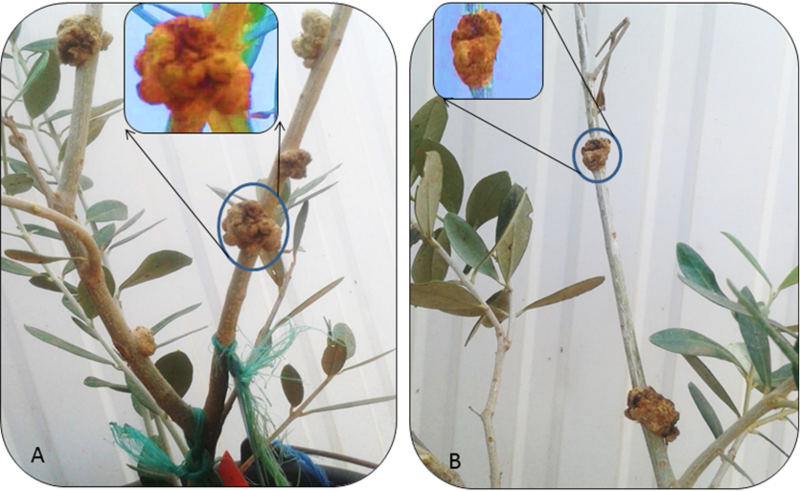 A possible synergistic effect of Erwinia sp on the development of olive knot symptoms caused by Pseudomonas syringae pv. savastanoi in Olea europea. Acta Horticulturae 58(6), 729-731. KING, E.O., WARD, M.K. RANEY, D. E. 1954. Two simple media for the demonstration of pyocyanin and fluorescein. Journal of Laboratory and Clinical Medicine, 44(2), 301-307. RAMYABHARATHI, S.A., RAGUCHANDER, T. 2014. Mode of action of bacillus subtilis EPCO16 against tomato fusarium wilt. Biochemical and Cellular Archives, 14(1), 47-50. ISSN 0972-5075. ROKNI ZADEH, H., KHAVAZI, K., ASGHARZADEH, A., HOSSEINI-MAZINANI, M. DE MOT R. 2008. Biocontrol of Pseudomonas savastanoi, Causative agent of olive knot disease: antagonistic potential of non-pathogenic rhizosphere isolates of fluorescent Pseudomonas. Communications in agricultural and applied biological sciences journal, 73(1), 199-203. ISSN: 1379-1176.